I have just installed Google Toolbar on my Firefox 4.0 but for some reasons which I don’t know, lot of my favorites buttons – PageRank, Bookmarks, Gmail disappeared. 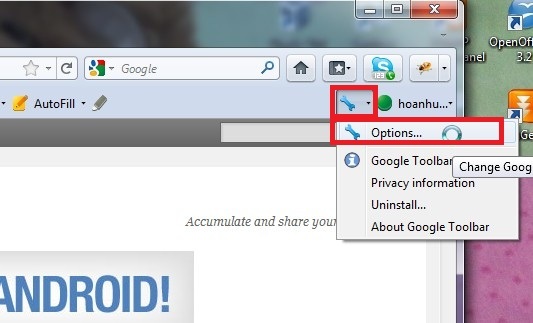 I played around with Google Toolbar Options and found out how to fix that issue. 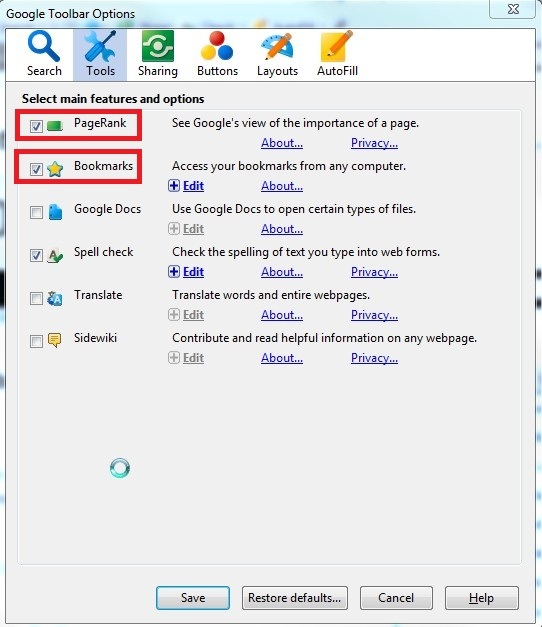 On this article, I’ll show you how to View PageRank, Bookmarks, Gmail button on Google Toolbar and how to customize your Google Toolbar as well. 2. 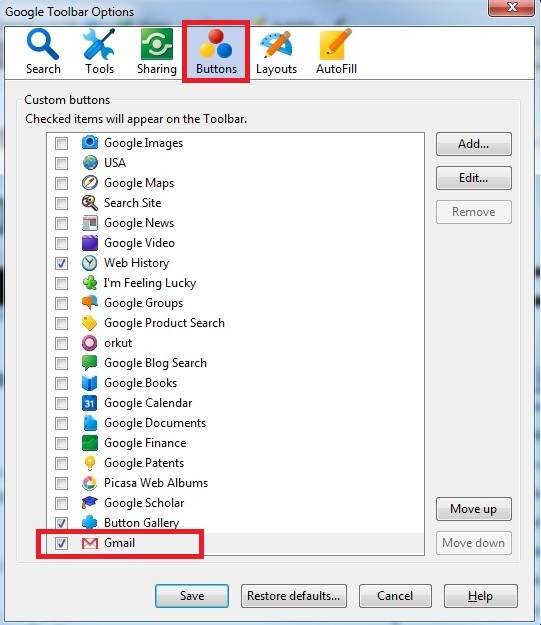 Google Toolbar Options box appears with lot of options. 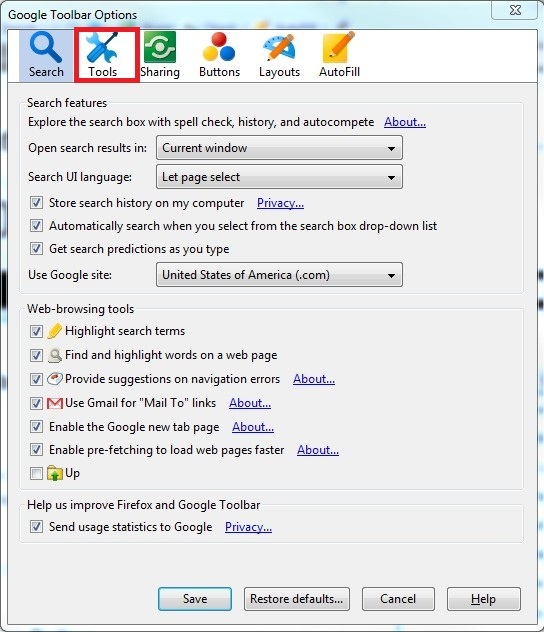 To show/hide PageRank, Bookmarks, Google Docs, Spell Check, Translate or Sidewiki, click on Tools tab. 4. To show the Gmail button or Picasa Web Albums, Google Finance, Google Documents, Google Calendar,Google Books, Orkut, Web History, Google Video, Google News, … click on Buttons tab then check/un-check on buttons you want to show/hide. 5. 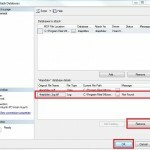 After customize your toolbar as desired, click Save button and check your toolbar again. It should work as your dream.